If you’ve been using email clients (like Outlook) for years like I have (translation: I’m old), you may have become used to using the semicolons to separate email addresses in the To, CC, and BCC fields. 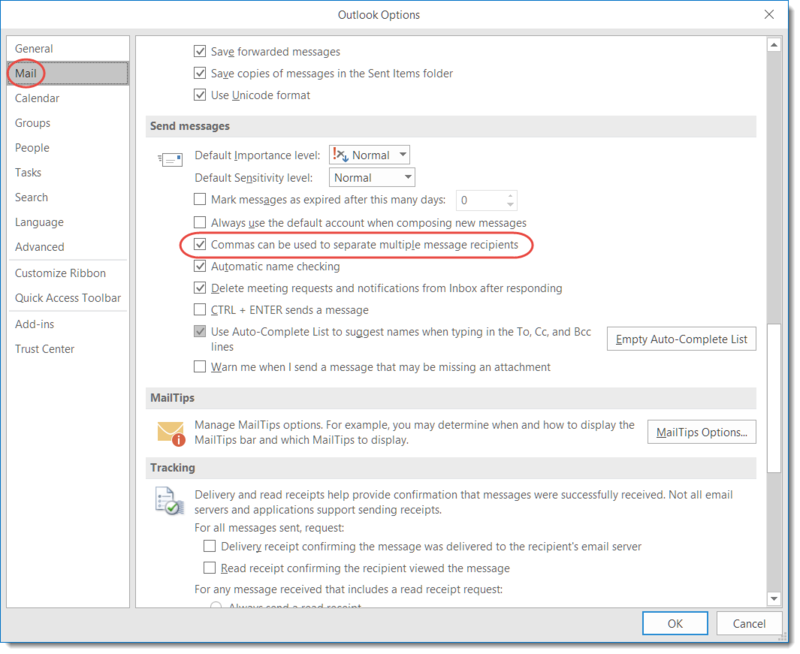 But you *can* make a change in Outlook to allow the use of commas. In the Send messages section, you can select the option for Commas can be used to separate multiple message recipients. Now, I don’t know that this is something you’d spend time on if it’s just a matter of learning to use commas instead of semicolons, as muscle memory can be a strong thing. However, if you have a string of email addresses separated by commas that you need to copy and paste into the To field, this can be a much easier way to get them loaded without any extra work.